Commensalism is a symbiotic relationship between two organisms where one organism benefits and the other is not affected. Other types of symbiotic relationships are mutualism, where both benefit from each other, and parasitism, where one benefits and the other is harmed. While all three are common in the rain forests throughout the globe, commensalism is the least common. However, there are many animals that display this type of relationship in the rain forests. Many animals show commercialism in the forest. These include frogs, vultures, sloths, ant birds and a variety of insects including dung beetles, flies, termites and flower mites. 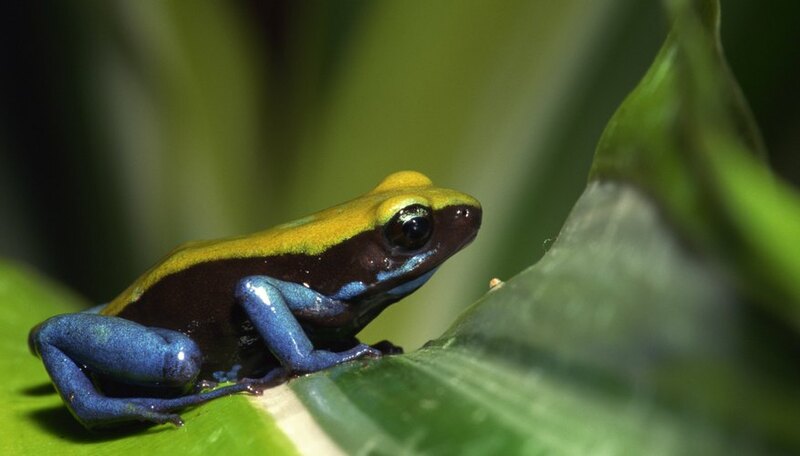 Many frogs, like the poison dart frog and the Gaudy Leaf Frog, in rain forests throughout the world show commensalism with vermiliad (a rain-forest plant that grows close to the ground on or near trees) and other plants in the rain forests. The frogs benefit by using the leaves of the vermiliad as shelter from sun and rain. The vermiliad is unaffected by the frogs. 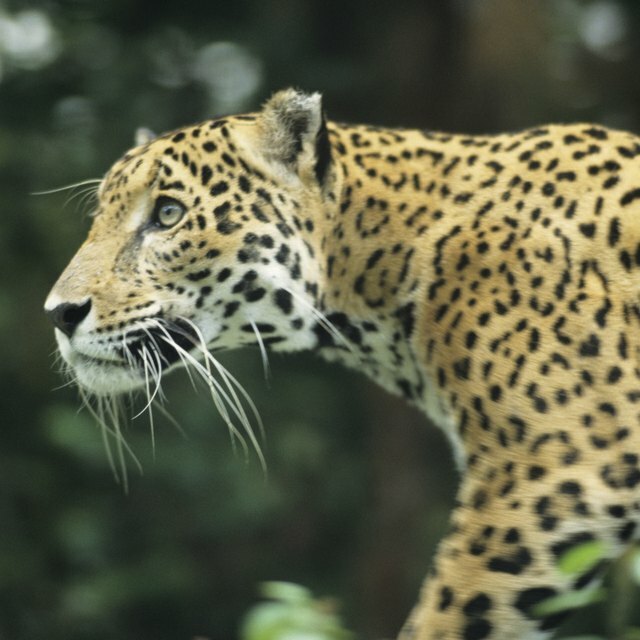 Many animals in the rain forest have a relationship showing commensalism with trees and plants throughout the forests. While animals who eat plant seeds are benefiting themselves, commensalism is happening when seeds travel on animals' fur or feathers without the animals realizing it. Often, a seed or a seed pod will fall onto an animal, like a sloth, who then walks through the forest. The seed will then fall off and plant itself, growing a new tree. The plants are benefiting and the animals are unharmed in this example of commensalism. When an animal dies, it will no longer be affected or harmed by what happens to its body. In that respect, any plant that benefits from the minerals of a decaying animal is showing commensalism with that animal. Vultures and other scavenger animals who benefit from eating dead animals in the rain forest have a relationship of commensalism with those animals as well, since they benefit without affecting the dead animals. When an animal defecates, other animals like dung beetles and flies benefit by receiving nutrients and shelter from the dung. Plants also benefit from the animals' dung, as it replenishes the soil and helps provide nutrients for new plants. Termites in rain forests eat fruits and vegetables that have fallen from the trees. They also use many of the dead, fallen branches from the trees to build shelters, which doesn't affect the trees but benefits the termites. Termites also show commensalism using the dung to help build their shelters. Sloths are on the unaffected side of commensalism, while many species of moths, mites and beetles are on the benefiting side. These bugs actually live on and inside sloths' fur and benefit by getting shelter. They also benefit by eating the algae that grows on the fur. Although the sloth may benefit from this, sloths will also clean themselves when necessary and aren't really affected by the bugs at all. Ant birds have a commensalism relationship with army ants. As the ants travel through the ground floor of the forests, flies, beetles and other flying insects hurry out of the ants' way and the ant birds are there to catch them. The birds know the ants will kick up other insects and the ants are unaffected by the birds' presence. Flower mites eat pollen, but instead of traveling the long distance from flower to flower alone in the rain forest, they hitchhike on other pollen-eaters: hummingbirds. The flower mites ride in the nasal airways of the hummingbirds from flower to flower. This doesn't affect the hummingbirds at all and the flower mites benefit. Alvarez, Laila. "What Animals Show Commensalism in the Rain Forest?" Sciencing, https://sciencing.com/animals-show-commensalism-rain-forest-6679573.html. 10 May 2018.